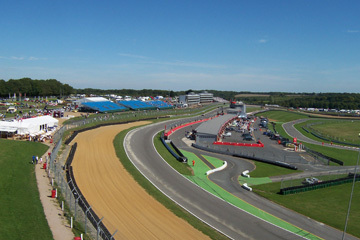 The first venue to be confirmed for the London Games, Brands Hatch is one of Europe's top motor racing circuits, and will host the Paralympic road race and time trials in 2012. Originally a mushroom field, it is a fitting location for cycling as this was the original purpose of the site when cyclists sought the use of the circuit from its landlord 100 years ago, running time trials on tracks marked out by machinery. The first race on the circuit was held in 1928 over four miles and motorcyclists laid out a three quarter mile track within a few years. After being hit during the Second World War by German bombs, the circuit needed renovation before Brands Hatch Stadium Ltd was formed in 1947. It was the venue for the British Grand Prix from 1964 to 1986, and continues to hold major international racing events including the FIA Formula Two Championships and Deutsche Tourenwagen Masters. The course goes through the picturesque country fields of Kent and supporters wishing to watch the events outside of the venue will be able to do so for free. Brands Hatch will constitute about half of the course for cyclists during the 2012 games, including both the start and the finish.